A Samaritan's Purse staff member shows the love of Christ to a patient in need of medical care. Renae Chrystal is a communications intern in Niger. After almost six months in Niger, I still haven’t seen a few Samaritan’s Purse projects. For some of them, it’s about the timing of the visit, but for others, it’s a question of security. For the maternity ward in Tizegorou, it’s been both. Located less than 37 miles from the Mali border, Tizegorou is in an area where there have been multiple attacks. Since then, the security has been stricter—curfews, restrictions on transportation, and more limited movement for Westerners. In February, the situation in the region was calm enough for me to see the maternity ward. The ward was built last July in response to a severe need in the community—the health center where the maternity ward is now previously had only a single room to serve almost 11,000 adults in an area of 11 villages. Samaritan’s Purse provided the Tizegorou community with the supplies to build a maternity ward on the health center grounds—cement, roofing materials, hospital and delivery beds, cribs, and medical supplies—and the people of Tizegorou provided the labor, working together to improve healthcare for the entire community. The program was also able to supply two smaller health centers in nearby villages with materials for latrines and two patient-care rooms. When I arrived at the health center, the maternity ward had already been open for six months. Even though it’s technically government-run, we met three Samaritan’s Purse staff members there who were excited to give us a tour. They took us through the four-room building with enthusiasm, showing us everything from the cribs for infants to the solar panel on the roof. In one of the rooms, I came across a woman being cared for by a Samaritan’s Purse staff member, and the story that we heard was not an easy one. Because of the insecurity in the region, motorbikes are restricted as a means of transportation. This is the primary method of travel for most of Niger, especially in the bush, so the people are left to find whatever means they can to come to the maternity ward. The night before our visit, the woman had been in labor and took a donkey with her husband to the nearest health center, a distance of 12 miles. The nurse at that health center wasn’t available, so the couple had to pay 12,600 Central African francs (around 20 USD) to take a taxi another six miles to the maternity ward in Tizegorou. Though the woman was able to give birth at the maternity ward, her baby didn’t survive for more than a few hours. 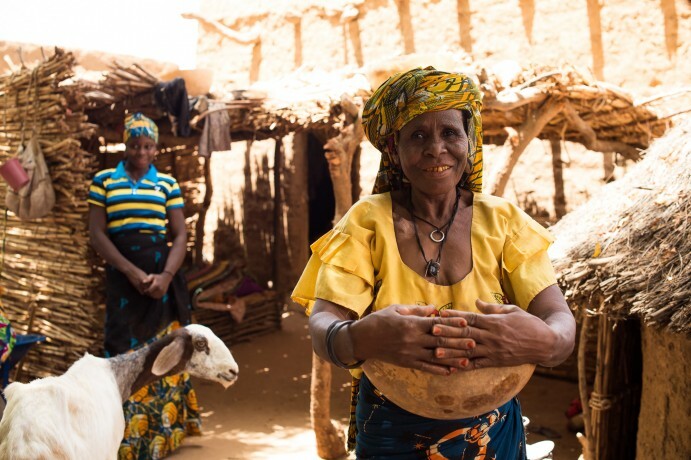 Though this story saddened the Samaritan’s Purse team, stories like it are all too common in Niger. Even though the health centers do everything they can for their patients, multiple factors work against them, from the regional insecurity to the low supply of medicines every month. This is why Samaritan’s Purse has been working in the area to support the community health committees in order to best help the people in the villages. Rather than directly building the maternity ward for Tizegorou, Samaritan’s Purse connected with the health committees to give them the initiative and the materials. “We wanted to empower the community to realize that they have the ability to solve some of their problems,” said Bruce Larkin, the Samaritan’s Purse program manager. This has been the goal of the health and nutrition program throughout its work—to develop better healthcare in the communities in addition to healing for the sick. As the maternity ward continues to serve patients and Samaritan’s Purse continues to serve communities, we hope that not only will the people be healed and empowered but that they will also see the healing love of Christ through the work of Samaritan’s Purse.